We can’t decide which is more dramatic – legendary pop star Lady Gaga’s proclamation that clinching Best Actress for her role in American Horror Story: Hotel was one of the greatest moments of her (no short of great) life, Rachel Bloom’s emotional, yet adorable speech when she clinched her first Golden Globe with Crazy Ex-Girlfriend as a crazy ex-girlfriend, or Leonardo DiCaprio’s profession of his love for Kate Winslet, his co-star from Titanic. But what we do know is that you are able to watch some of these Golden Globe winners and nominees for free. Here are our picks of the best-nominated movies and shows that you can watch for free on Amazon Prime. Lady Gaga’s first foray into acting has seen her fulfill her lifelong dream of becoming an actress. The large shoes she had to fill by taking over for Academy Award winner Jessica Lange concerned many skeptics initially, but her dedication and determination for the role has bowled them all over, and she has the trophy to show for. And this is why American Horror Story needs more Lady Gaga after Hotel. Watch American Horror Story for free on Amazon Prime. The show that clinched the Golden Globe for both the Best TV Series and Best Actor in a TV Series follows elite classical musicians in a fictional New York symphony trying to keep their art alive in a world swept over by Spotify. It explores and presents the tensions in a city where high and low cultures meet. 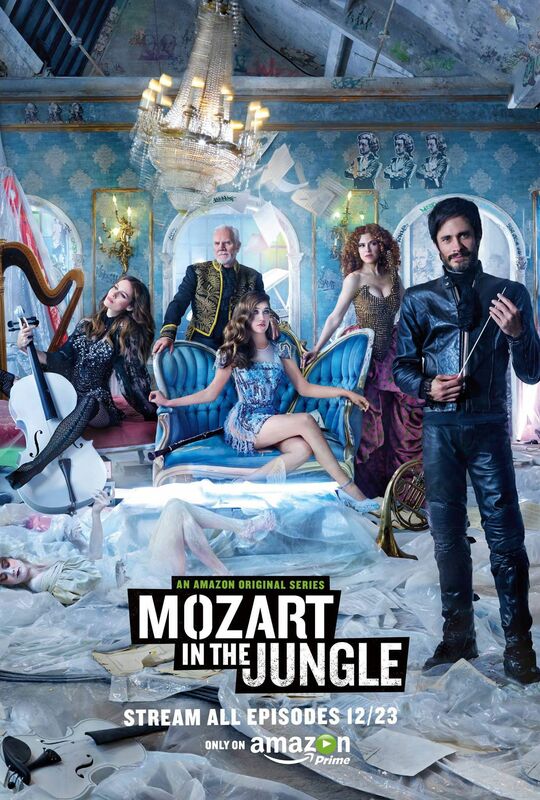 Check out Mozart in the Jungle for free on Amazon Prime. The winner of the award for Best Miniseries or Television Film, This British historical drama is an adaptation of two of Hilary Mantel’s novels, Wolf Hall and Bring Up the Bodies. The plot is peppered with revenge and intensely rich and terrifying relationships. You can watch Wolf Hall for free on Amazon Prime. Easily considered as one of the greatest actors of all-time, Al Pacino is back reprising the aging 1970s rocker Danny Collins, who uncovers an old undelivered letter to him from John Lennon. Based on a true story, Pacino plays the part of a hard-living man who decides to change his way of life and reconnect with his grown son. Danny Collins is available to watch for free on Amazon Prime. Also recognized by the National Board of Review as one of the ten best independent films of the year, this British sci-fi psychological thriller tells the story of a programmer who is invited by his employer to administer the Turing test to a machine with artificial intelligence. Vikander plays Ava, the beautiful robot whose self-awareness and deceptiveness is underestimated. Check out the newly revealed original ending that the movie was going to have here. Or see how Ex Machina really ended for free on Amazon Prime. After clinching two awards during last year’s Golden Globes, Transparent has proven itself as a worthy contender. The story follows the lives of a Los Angeles family who discover that their father is transgender. With its second season, Transparent presents deep questions about some of the central tenets of progressive society. It promises to challenge, convict, and compel. 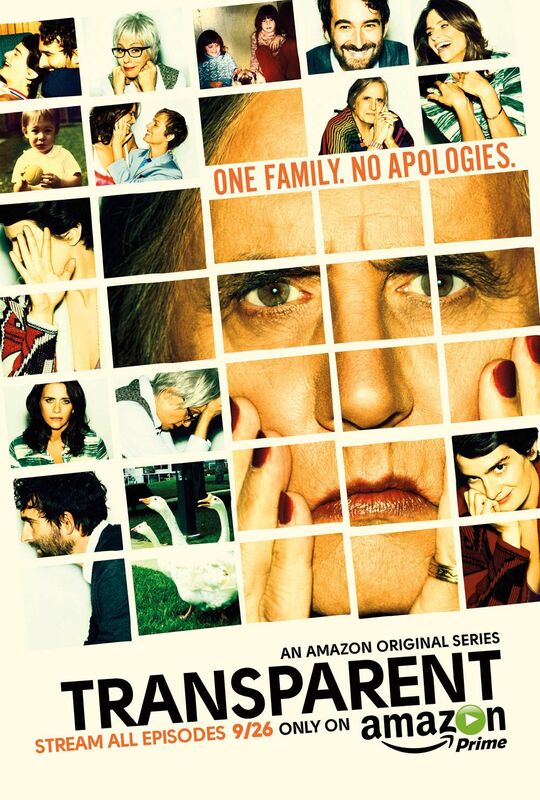 Watch Transparent for free on Amazon Prime. Despite their loss to Mozart in the Jungle, this political comedy starring Julia Louis-Dreyfus and Tony Hale still has nine Emmy Awards under its belt. For the unfamiliar, the series was created by Armando Iannucci, the same person who created the British political comedy The Thick Of It. Currently in its fourth season, this series is one that will stick around for awhile. Watch Veep on Amazon Prime for free here. Watch all six seasons of The Good Wife on Amazon Prime for free here. Another British historical period drama that has been running for six seasons now, Downton Abbey was recognized by Guinness World Records as the most critically acclaimed English-language television series in 2011. The series is set in the fictional Yorkshire County estate of the show’s namesake and follows the lives of the aristocratic Crawley family. The show intertwines different historical events that actually happened and describes how they affected the lives of the British social elite. Watch Downton Abbey on Amazon Prime for free here. See the full list of Golden Globes winners here. The second major award show of the season after the People’s Choice Awards, the 73rd Golden Globe Awards hosted by Ricky Gervais for the fourth time was broadcast on Sunday night.